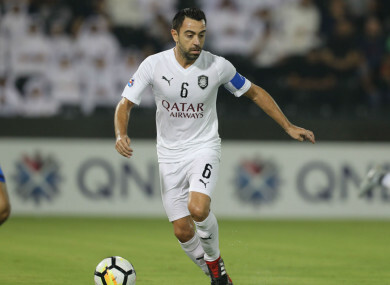 Xavi playing for Al Sadd in Qatar. The Qatar tournament is currently scheduled to take place between 21 November and 18 December 2022 with 32 teams, but Fifa president Gianni Infantino is pushing to bring forward the expansion. “It’s too much and too long,” he said. Email “Spain legend Xavi says 48-team World Cup in Qatar 'will not be good'”. Feedback on “Spain legend Xavi says 48-team World Cup in Qatar 'will not be good'”.